Tiffany’s, the world’s most prestigious name in diamonds and jewels has just launched their newest “Blue Book” jewelry collection. 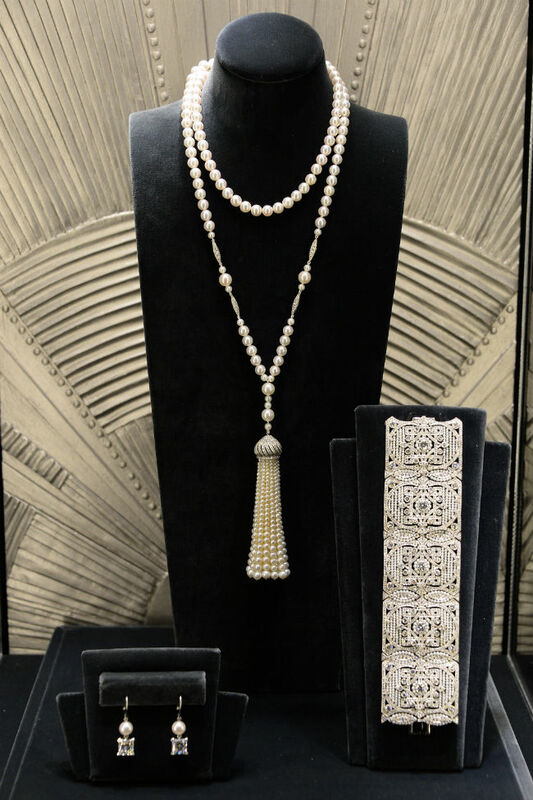 The designs are inspired by the Roaring Twenties era and the company spared no cost this year in promoting the goods. 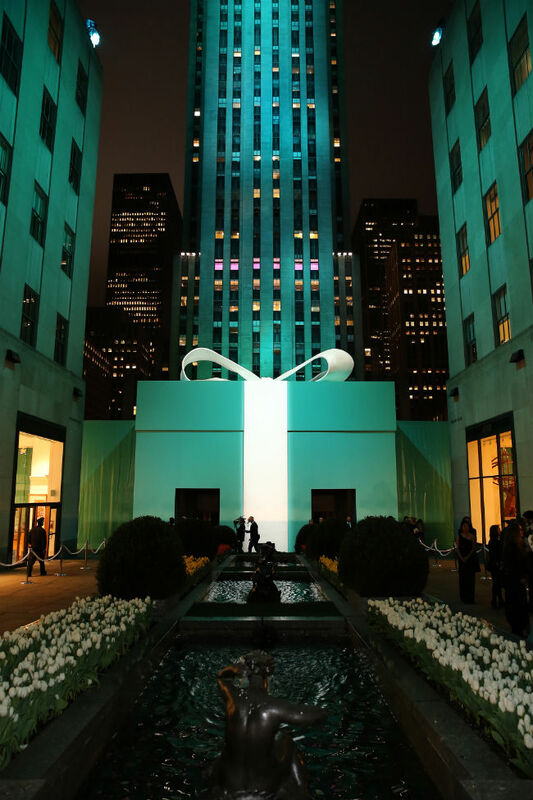 Rockefeller Center in NYC was enclosed with a ginormous version of the famous blue box and the bash was an A-lister hit. Amongst the stars shining were Michelle Williams, Sarah Jessica Parker and Gwyneth Paltrow (to name a few). Kate Hudson dazzled them with her custom Reem Acra gown in the iconic shade of “Tiffany Blue” and SJP sparkled in gold and dripped with diamonds. 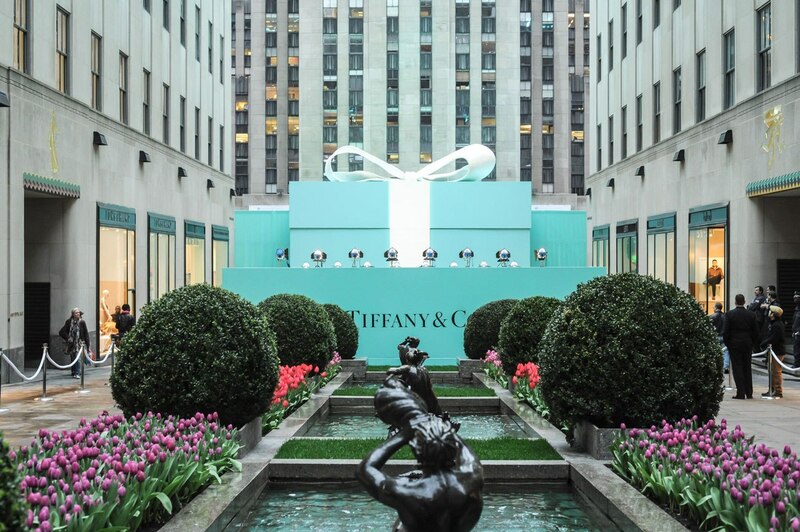 The very first Tiffany’s opened in 1837 and the very first Blue Book ever published was in 1845. The company has maintained its luxury brand image throughout time. Audrey Hepburn starred in the famous “Breakfast at Tiffany’s” movie and Marilyn Monroe sang “Diamonds are a Girl’s Best Friend” in the hit movie “Gentlemen Prefer Blondes”, where Tiffany’s was mentioned twice.